Named in honor of Rear Admiral George W. Storer of Portsmouth, NH, who served in the US Navy. Their first charter was organized on 8 Nov 1867, with ten charter members. This charter was surrendered in June of 1874, with a reorganization taking place on 27 June 1878. The Storer Post included members from the towns of Portsmouth, Rye, New Castle and Greenland, NH. 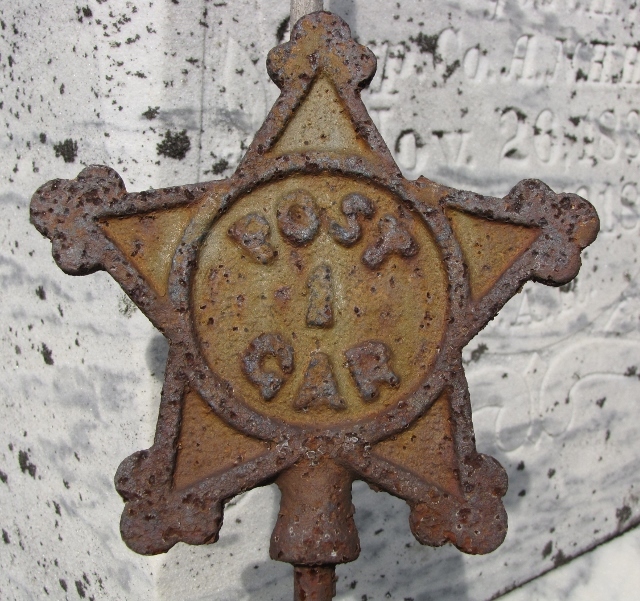 The Storer Post also had an auxiliary, the Storer Relief Corps, No. 1, of Portsmouth. It was first organized in 1887 with 16 original members, and had 41 by 1891. They reorganized in 1892, as Relief Corps No.6, with 72 charter members. The Sons of Veterans, later known as the Sons of Union Veterans, had several camps in Portsmouth, NH throughout the years. The Henry L Richards Camp, No 12, was organized before 1885, but was only in existence a few years. The Marcus M Collis Camp, No 53, began in 1891, also soon disbanded, with the Henry L Richards name again being used for a short time. In 1917, another camp was formed, the Capt Thomas Aston Harris Camp, No. 3. 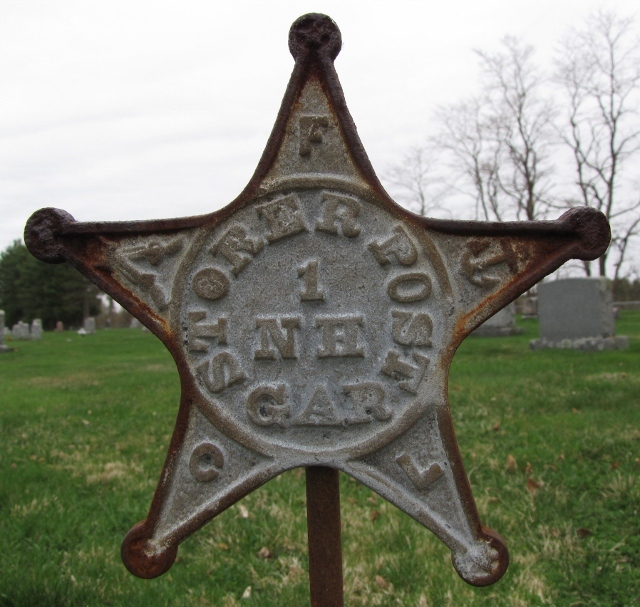 Storer Post 1 NH GAR grave marker. Located in Prospect Hill Cemetery, Greenland, NH.